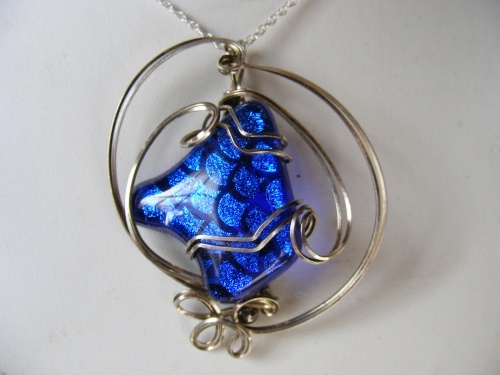 This dichroic piece resembles scales on a mermaid thus the name. If you are a lover of blue, then this is the unique piece for you! Sculpted in argentium silver swirls, pieces measures 2" from top to bottom and comes with an 18" sterling silver chain.